SUPPORTS IMMUNE SYSTEM: When adding Perfect Press Black Cumin Oil with honey and hot water, it is an excellent tonic for people that are coughing or for people that want to enhance their immunity during the flu season. 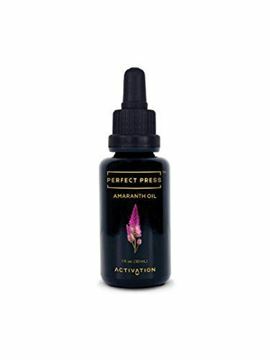 ', 'IMPROVES DIGESTION: Perfect Press Black Cumin Oil aids in digestion as it helps various conditions such as gas, diarrhea, and constipation. ', 'ANTI-INFLAMMATORY: Black Seed Oil is loaded with thymoquinone, Vitamin B1, B2, and B3 which provide the body with powerful anti-oxidants that reduce inflammation. ', 'HIGH QUALITY INGREDIENTS: Certified Organic Black Cumin (Nigella Sativa) Seeds (Non-GMO, Organic & Raw). No Chemicals, No Fillers, No Animal Testing. ', "SUPERIOR QUALITY & PURITY: The Zero Press Technology is so delicate yet powerful that the precious nutrient qualities of the seeds are left undamaged. Perfect Press Black Cumin Oil contains zero damage, oxidation. Oil is stored in a high quality Miron Glass Bottle. The oil is so stable that no refrigeration is needed. Perfect Press Black Cumin Oil is the best on the market. Specially Priced Limited Supply 7oz size - We sell out often, get it while it's in stock!" GLOWING SKIN: When applied topically, the Squalene in Amaranth Seed Oil has excellent humectant properties that Increase the Water Retention Capacity in your Skin, acting as a Natural Moisturizer that Improves Skin Tone and Texture! ', 'BOOSTS IMMUNE SYSTEM: Amaranth Oil boosts immune function and improves immunizing functions during flu seasons. Mix a tea spoon of oil with fresh juice and honey as a remedy for coughing or nasal congestions. ', 'IMPROVES BRAIN FUNCTION: Regular use of Squalene improves mental performance, memory functions and improves also the resistance against psychic stress. ', 'HEALTHY OXYGENATING EFFECT: Squalene is a high-quality, unsaturated hydrocarbon which studies indicate is capable of supplying the cells with much needed oxygen. 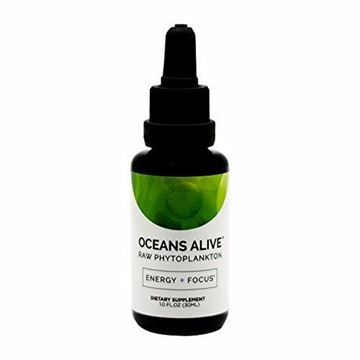 This increased oxygen produces a more efficient metabolic process, enhancing energy and metabolism at the cellular level. ', "SUPERIOR QUALITY & PURITY: The Zero Press Technology is so delicate yet powerful that the precious nutrient qualities of the seeds are left undamaged. The oil is also stored in a high quality miron glass bottle. Specially Priced Limited Supply - We Sell Out Often, Get It While It's In Stock!"